I haven't been back to the Hotel San Carlos in Phoenix since December of 2016. After staying there for three years, there are subtle differences that nobody else would notice if they weren't paying attention. (New clothes I never bought, items from stores I don't shop at, movies have come out during different years, conversations I've had have happened in a different way, events have changed, etc...) I was going over some of the videos I took while I was at the hotel. Please, watch these videos with headphones. Almost as soon as it starts, it sounds like, "Time line one. Time line two. Time line three. Time line four." The video was taken after February in 2016. I was trying to see if I could get the woman from room 704 to show up again, but I didn't know what I was looking for. There are EVPs throughout a lot of the videos I took. As soon as this next video starts, there's a strange noise as I walk down the hallway. The camera shakes as though I just bumped into something. But, there's nothing there. It sounds like an object being shifted in a certain direction. The lady in room 704 turned out to be the static in the center of the room. The staff at the hotel referred to the hallway to room 704 as "the haunted hallway". Guests have reported hearing evil laughter in the hallway, but I had never heard anything like that in my time there. Whoever was whispering EVPs in the hallway was trying to help me. My question is this... Is it possible for the energy from paranormal phenomena to shift you into a different timeline? I've never heard of this before, and I can't find any information on the effects of long term exposure to paranormal phenomena online. A lot of the videos I took will play on my computer, but they won't upload online. There are a lot of bizarre glitches in the videos. I had over twenty of these videos. With many of them, I had to take screen-capture videos of the videos in order to upload them. This was the second video I took in December of 2016. All of these videos are from room 720. Notice the items on the table. That's my music-box-doll on the table from a previous visit. I'm standing in the hallway using the hotel's wifi connection with my laptop to take the video. The crazy part is...I NEVER brought that music-box-doll with in December... What is that on the table? Why is it moving? Why is it making sound? Why does it keep moving when it only has two minutes worth of sound? It's like the room suddenly decided to rewind time so that it looked like it did during one of my previous visits. It's an imperfect copy of my previous visit. The only thing I moved in this video was the bag on the bed, and I tilted the camera slightly before leaving the room. On top of this, all the sound in the room suddenly stops at 09:15. And it's a deafening silence that continues throughout several of these videos. Look at the energy in the room as it builds up. (The static) Watch the mirror in the room. It's like...some kind of huge discharge of energy. Most people would look at it, and think it was an effect from the camera lens. The twenty first video had the most glitches. This was all I was able to capture. This was all that would upload. You can see part of a kneck, and a silhouette of a head, from the woman in room 720. If you encounter a glitch, like the bump noise I heard in the hallway, or you experience long term exposure to paranormal energy, can those kinds of things twist/shift time and space around you so that things are different. (Like a glitch in the movie, "The Matrix") The first video I listed was taken in March of 2016, and I stayed at that hotel until December of 2016. (10 months) If there are four timelines you cross on the way to room 704, then 4X10=40. According to certain timeline theories, what would this mean? Did I die 40 times, and now I'm in a 40th imperfect copy of my original timeline? (It's the same concept as the plot from "Back To The Future 2". A character in the movie creates a glitch that causes an alternate timeline to exist.) It would explain why a lot of stuff is different, but I'm not certain if it's the paranormal energy or something in the hallway that's causing it to happen. Unfortunately, I have no way to test this theory... I think scientists are still working on ways to measure the ripples in the ripple effect that cause string theory. I'm also unsure if any level of psychic protection can stop the glitches from happening. On a side note, I did manage to figure out what the spirits at that hotel were doing at that location. The ley lines under the building intersect causing a massive vortex of energy. The spirits are there to absorb that energy. There are a lot of spirits at that hotel who really do want help. If they move on, and no one absorbs the energy, does the energy build up to a point where it becomes dangerous to the city? I think that's part of the reason why many of them can't move on even though they want to move on. Watch the wall on the right in the video. https://www.youtube....SypVvZah8 Does it move slightly to the left? "Actually, there may be a way to test it. MWI implies the quantum immortality hypothesis — the argument that a version of us will always observe the universe — even in the most improbable of circumstances. To test the MWI, all one needs to do is attempt suicide based on a 50/50 probability schema. According to the theory, a version of you will survive 50 successive 50/50 suicide attempts — but it's a one in quadrillion chance. The trick, of course, is to live the life of that particular version of you. Good luck." Really? You test an alternate timeline by surviving fifty suicide attempts? ::FACEPALM:: I have no intention of attempting suicide. Thank you for the time and information you put into your post. You might be interested in reading about Burt Goldman. He claims he is able to Quantum jump into alternate universes and learnt things from alternate versions of himself. If I really was in an alternate timeline, what exactly would need to happen for the changes I've experienced to occur in a different way? If a movie suddenly came out during a different year with a different line of dialogue, then the script would have to have been altered to get the different dialogue and the director of the movie would have to make the movie during a different time. The same thing would have happened in the original timeline, but the series of events that progressed would have happened in a different way. So...entering an alternate timeline means that certain things happen slower, or faster, because of the progression of events that lead up to those things? Then the conversations I've had with people, the ones that have been changed, would make sense. Butterfly effect, right? For example, I remember the movie, "The Crow", having come out in 1995. (I had a friend in high school during 1996 who was obsessed with the movie.) Brandon Lee died in 1994 during the filming. I remember that they LITERALLY had the last few scenes to shoot before he died. I remember that he was killed in the action scene where the villain, and all of his henchmen, were shooting at Brandon Lee's character around a long table. The actual scene where he was killed was edited out, and was destroyed. Now, the movie suddenly came out during 1994, and Brandon Lee died in 1993, and a lot of people are saying that it was a different scene in the movie where he died. (A lot of people are saying Brandon Lee died during the scene where the henchmen are murdering his girlfriend.) The circumstances of his death are still the same in this timeline. It was still a prop gun that killed him. But, it's like events have played out differently. What else would need to happen for things like this to occur? I found this sketch comedy about time travel. I also know I have listened to the same news channel throughout the day and heard the same tragedies reported differently from hour to hour. We also only retain a certain amount of what we read, see or, hear and that also diminishes with time. The place is a haunted hotel. It was built on indian burial ground. There is no buried treasure. The area is not a walking wasteland. The building is not surrounded by dead trees and blackened grass. There is no soul eating. But there is vampiric draining. 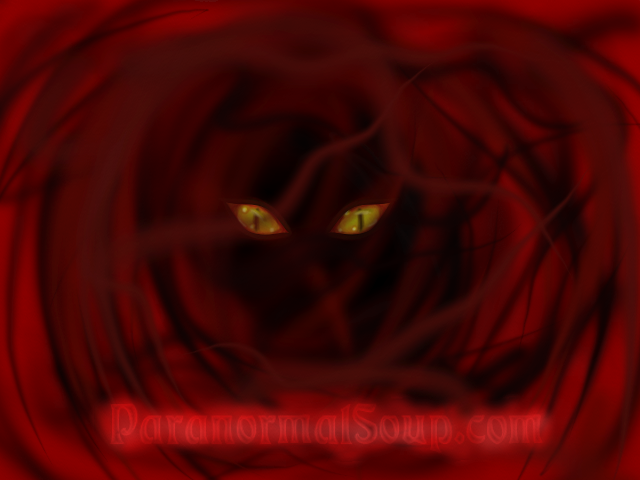 The spirits survive off the vortex energy in the basement. They can also feed off life energy. It's not soul eating. They feed off emotions, like fear. The people that die at the location become part of a collective due to a forced fusion dance. (This is seen in the movie remake of "House On Haunted Hill". These spirits can also show up as mysterious mist. If you listen closely, you can hear them whisper. There are no secret passages. There are no endless corridors. But, there is a haunted hallway on the seventh floor, and it is a reality warper with cosmic entities that bend the laws of physics to suit whatever their needs are. If they do feed off of positive emotions, in all likelihood their gimmick is to drain the ability to feel these emotions from their victims, turning them into empty shells. (Hence, the suicides at the hotel.) These people get no kick from champagne. Mere alcohol doesn't thrill them at all. It's the taste of someone else's emotions that does it for them. An emotion eater is someone who draws psychic nourishment or power from another person's emotions, and will usually do what they can to instill those emotions in others. However, these people, the spirits, understand how much energy to draw upon. They only take what they need. This happens when a range of characters with different moral view points come together into a conflict. Many of the spirits at this location died, because of financial failure. They felt Deus Angst Machina. The architecture is both malevolent, and benevolent. The house is a sapient house. Sometimes however, it can be stopped the moment the victim says "I'm Not Afraid of You!" and/or reaches an emotional epiphany. Why are there alternate timelines? What does paranormal phenomena need with alternate timelines? If the building was alive, as in Genius Loci, it would need to feed. If it kills a guest, then the guest is gone. BUT, if it creates alternate timelines with multiple versions of the same person, could it feed off the alternate versions of that person indefinitely without them knowing about it? Edited by KlaineyGStudy, 06 April 2018 - 04:55 AM. I apologize. I don't know why some of my text shows up dark. It does that sometimes if you are copying and pasting stuff. Your movements and your reflected image in the mirror seems to mirror your journey down the hallway. I can't see anything startling. As for Quantum Jumping, I haven't read anything about people not being aware they are doing it but I suppose anything's possible. I agree with Klainey, it sounds a lot like the Mandela effect.